I love rose gold watches. This 35mmx8.5mm. 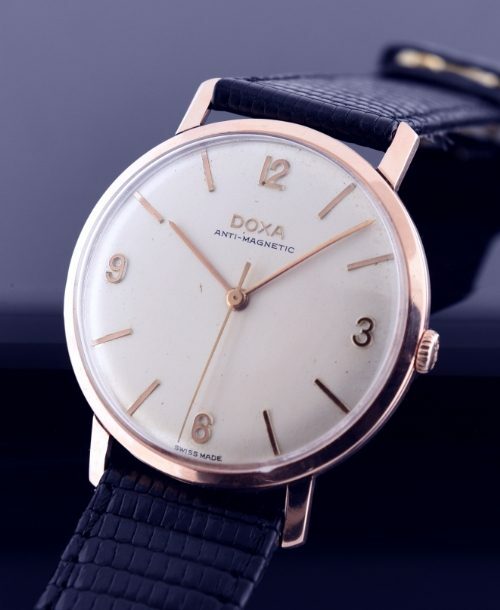 thin vintage 1960’s DOXA is solid 14k. rose gold. The dial is original with only the slightest age marks. The fine manual winding DOXA movement was just cleaned-accurate. Notice the original signed rose toned crown. 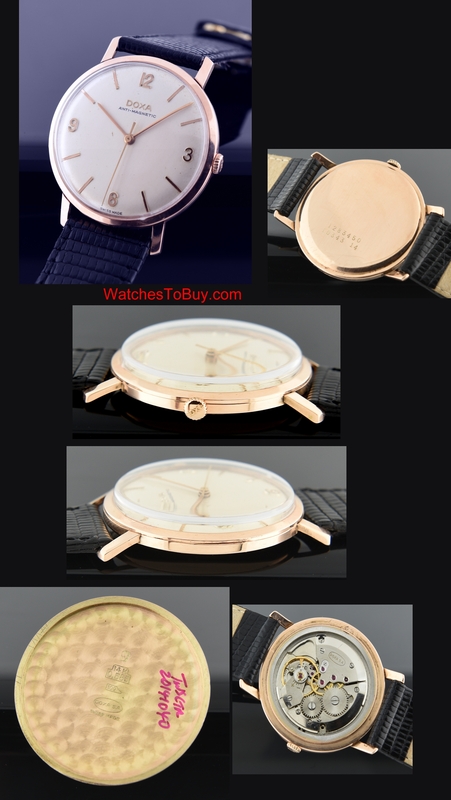 I’m Sure you will enjoy this fine dress watch.